Much of the Midwest has seen some brutally cold temperatures over the last week – like -35 degrees cold – but a scene in Michigan has accurately summed up how everyone felt during the frigid blast. 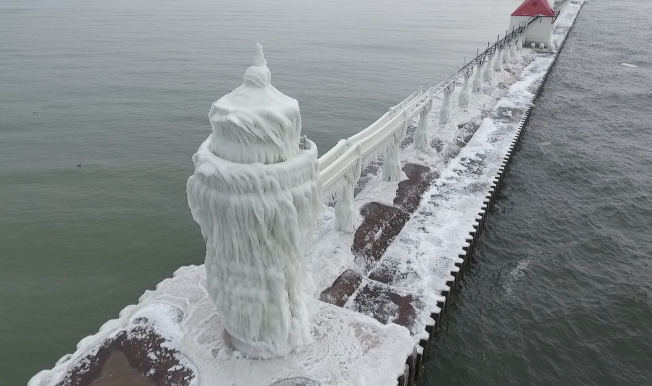 That scene was captured in now-viral video showing a lighthouse in St. Joseph, Michigan covered entirely in ice. The spectacle, which resembles one straight out of the hit movie “Frozen,” was documented by photographer Joshua Nowicki, whose footage has been viewed more than 1 million times. 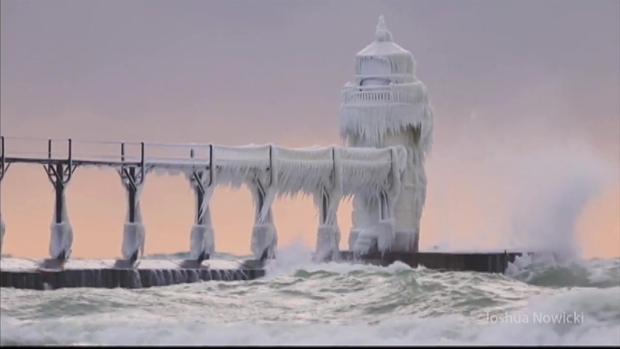 The lighthouse, which sits on the southeast shore of Lake Michigan, is seen literally frozen over as water splashes around it. The Great Lakes Drone Company also posted footage of the scene.